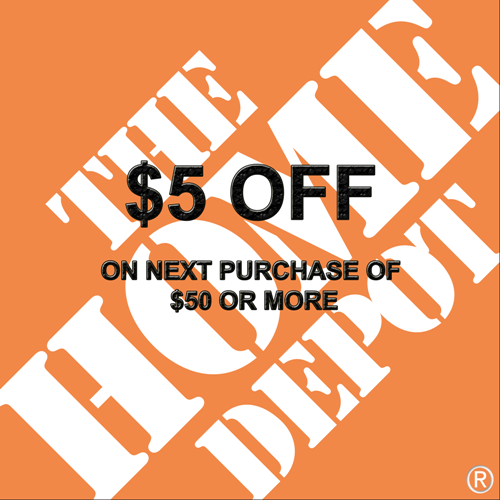 Buy Two (2) Home Depot $5 off $50 Coupons, What's This Week! Delivery: In most cases, your Home Depot coupons will be emailed within minutes to address registered with Paypal after cleared payment is received. Please check junk or spam folders if you don't receive coupons within 24 hours. 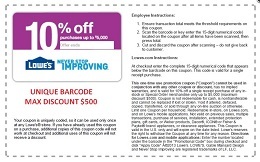 Fine Print: Redeemable for a $5.00 discount on a single receipt in-store purchase of $50.00 or more at all U.S. The Home Depot® stores. This offer cannot be combined with any other discount, offer, promotion or special incentive program. See store for further details.